GW goes back to Middle Earth. 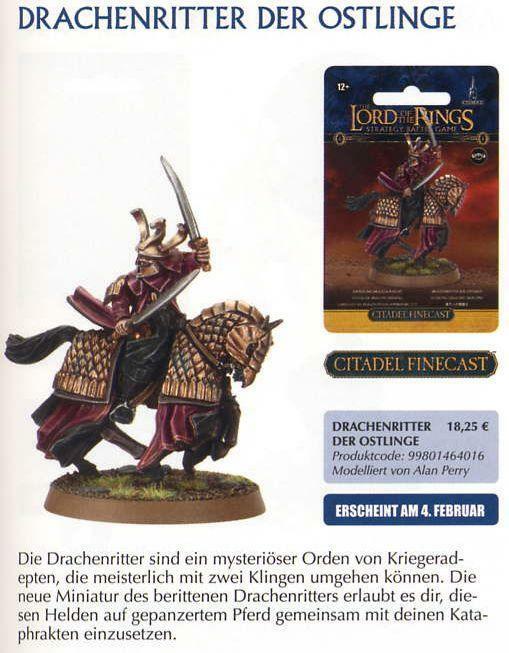 The cat's out of the bag more of less as the Feburary White Dwarf hits the stands in the different parts of the world. 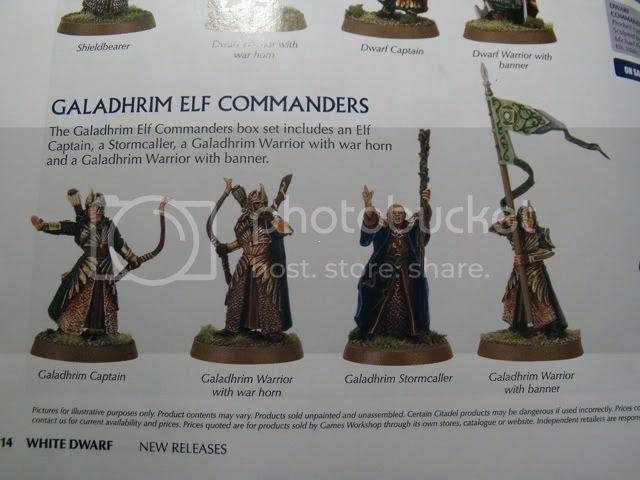 I wanted to this collected information up before GW sends out it's February releases email tonight or tomorrow morning. I spoke to my pal who runs our local one man store in my area and he was absolutely clueless about any of this. I quote " they dont tell us anything", "I'll see on the 4th like the rest of you" Leave it to us to hype Games Workshops products for them for free right? 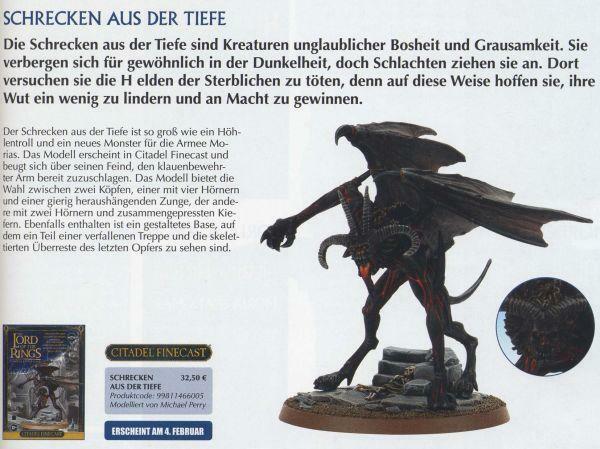 New Models...I've posted pics of sum, all plastic and Finecast, the prices, yes. Outrageous. The Watcher in the Water no has legs and gets mobile! The Core Rules are not changing, The big book is being re-released by the page count is the same and the sample pages are the same. People are concluding the book has not changed. The new Core books feature new Force organization rules and other new rules. 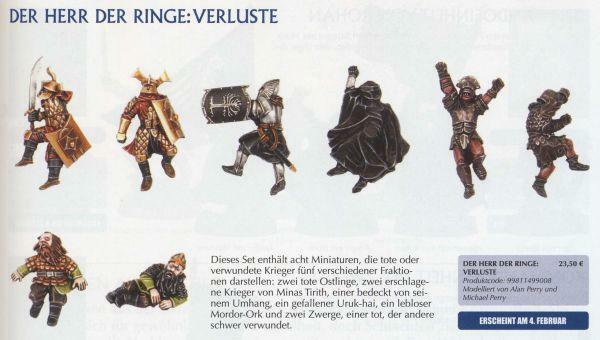 Basic rules revolve around 1 Hero Commands 12 Figures, so armies are built around that concept. 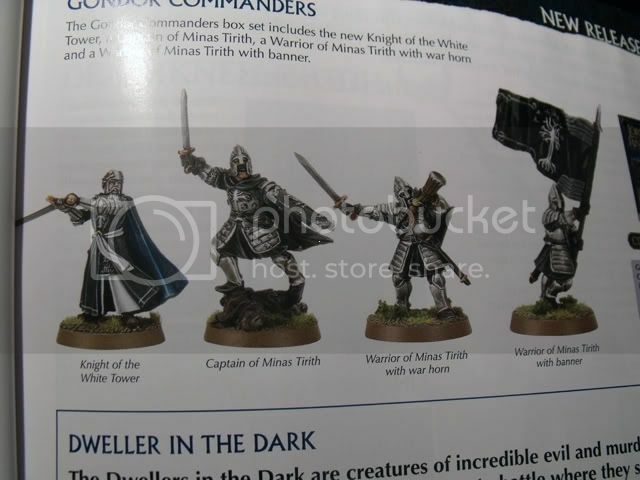 Wisdom suggests The Boromir of the White would have command bonuses over say a regular Gondor Captain but what we dont know. Illustrations with bonus to statistics for Instance Khamul leading Easterling Cavalry is now F4, etc. exist. Points have seemed to have NOT Changed. No word on Changes to Magic or incorporation of Monsters or Siege Weapons into the Hero +12 Command Structure. 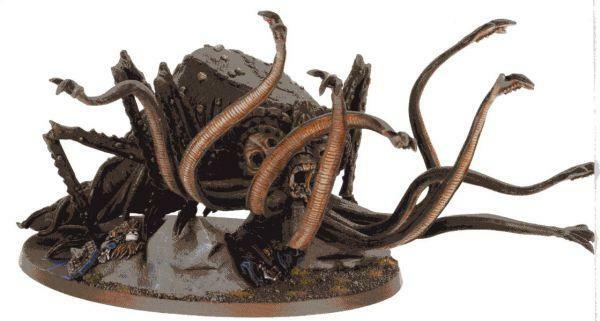 Following GW's lead in other games and big monster kits I expect monsters to more easily fieldable then they are now. Alliance Rules gone, now just Good Vs Evil. 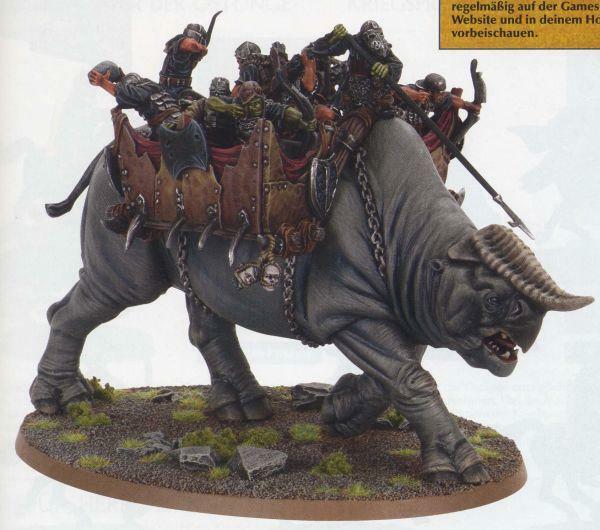 I expect many other unique Army rules to change in favor of a more streamline concept. as well as some Army lists. so we are just going to have to see. GW does the focus is on maximizing sales of over game quality. But they're going to get me for $125 next weekend as I get all 5 books....Big year for Lord of The Rings starting 11 months before the new movies..who would have guessed? Photos, and information collected courtesy of members of Dakka Dakka, and the One Ring UK. Looks like Games Workshop has pulled a bit of a surprise out its hat and much to the chagrin of 40K haters over at the various forums. Rumor has been bubbling for the last 6 weeks or so about a new skirmish ruleset for the SBG in Feburary. While the LotR SBG community is small it is dedicated and we've seen a big rise in player populace here in the midwest over the last year, either as a result of the exodus from other systems or as just an increase in curiosity from other player bases. Last November's Bilbos Birthday Bash was the single biggest LotR tournament to date with attendance up 400% since its start in 2009. The tournament was as grand a *hobby* spectacle as you are going to see around these parts outside of Adepticon. As the cover of this French version of February's White Dwarf confirms this is a reality. From the rumors that seem reasonable on a couple of reliable forums..It seems like they aren't changing the rules so much but tweaking unit values and command structures on how many models a particular hero model is capable of commanding. This is an awesome move that will shake the game up in a good way in my opinion because one the few problems with game on the tournament level is that players can spam models using only Captains or low costing generic command figures as leaders. This gamey disregard to *theme* allows you maximize model counts and while its the best tactical game GW has managed to come up with, It is still very much a game of numbers. 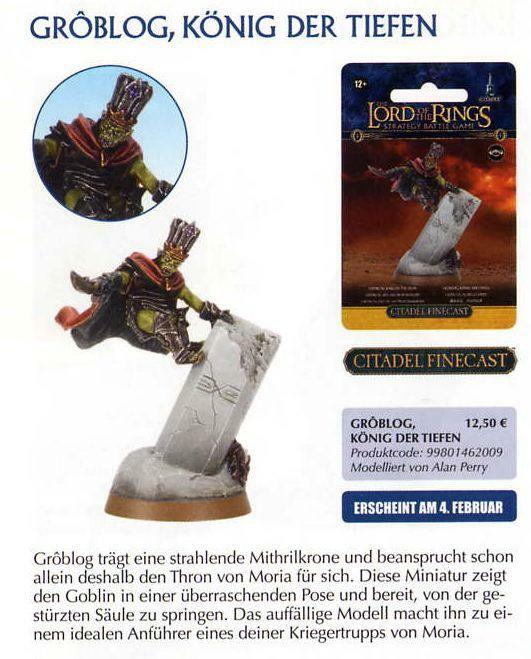 Also mentioned are a whole of bunch of new models this month..*what* I am not sure as releases for *The Hobbit* should still be pending probably late this fall to tie in with the new film. 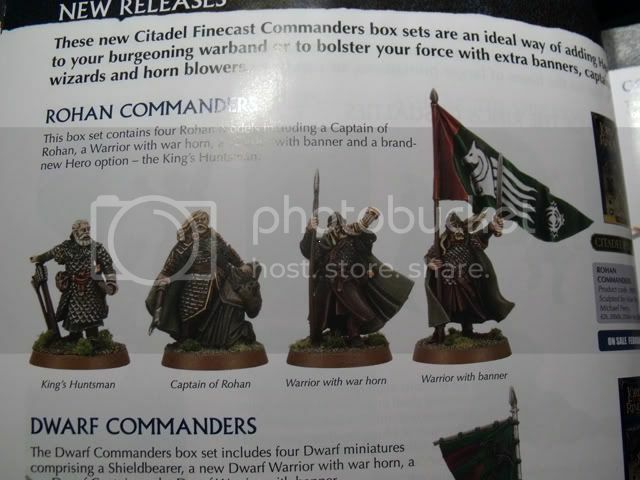 Whatever they do lets hope they dont mess with core rules and keep the Finecast to a minimum. Going by the standard info release schedules we should know the details this weekend. 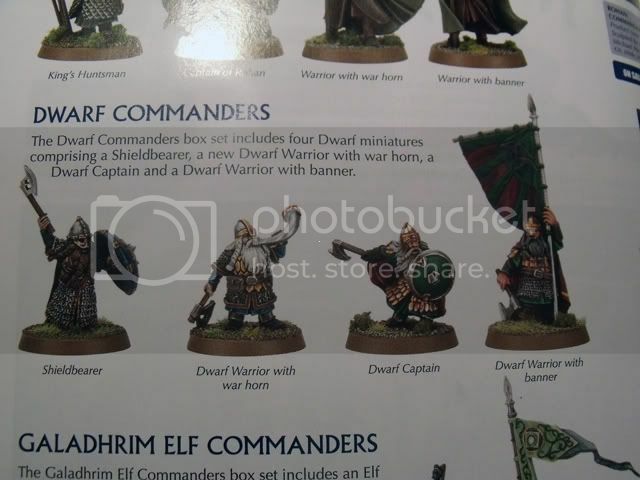 In other LotR/ GW news not sure if anyone else noticed who doesnt play but GW recently, in typical fashion, repackaged the plastic troop boxes lowering the number of models in a box by 50% but lowering the price only about 25%, This isnt something they would have invested money into if they were just trying to *blow out inventory* like I've read speculated. Considering GW fought like hell to even get the rights to do models for the new films, I think we can plan on a significant amount of attention on the game from GW over the next 24 months considering its the companies sizable investment. Sorry 40K dudes. Here is our Campaign Map post 6 rounds of play. Moves are pending for round 7 based on the above. Scores last rounds where The Saxons over the Byzantines 34 -19 and The Caliphate over the Normans 34-10. I should probably work to complete absorb him and have him fighting for me in the last round, however a loss in that scenario would probably knock me out of the running so it might be best to skirmish against border territories and try for another smaller expansion protecting my Empires strength. However a strong push from either Rich or Chris with a high score could make that moot as well. Decisions, Decisions. 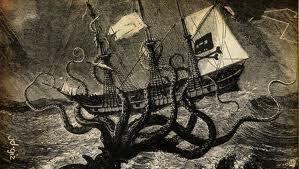 The Kraken Attacks, abandon ye all hope. In all seriousness I wanted to make a quick announcement about a course correction. Due to circumstances far beyond my control I am suddenly being forced to relocate my business operations over the next 3-4 months. As a result I have no choice but to cancel my Adepticon 2012, Legends of the High Seas Event. Thankfully Tim Kulinski, Author of the High Seas book is stepping up and running a big game in its place and current time slot, while not the massive scenery laden affair I had planned its going to be great game on great terrain with multiple crews fighting in a free all doing an table wide treasure hunt. Prizes, etc will be still be offered, look for replacement event details at Adepticon.Org and Tim's blog as well. I'll still be at Adepticon myself, I may even play Friday Night. (I'll definitely show up) Unfortunately I am going to have very limited time this spring, and planning an event like I had run last year and stepping it up as I was aiming for this year takes just alot of time and planning, I had estimated between finishing new terrain, scenarios and all the paperwork involved I was looking at 100 or so hours of work between now and then, which is time and distraction I just can't have. Tickets will be refunded or honored depending. Once life is back on track, I'll be back to business as usual with my hobbies. This kind of throws a monkey wrench at some other announcements I had planned as I am loath to make them until I ride out this course correction...such is life...Arghhh. Here we have the Campaign Map, after 5 turns and before our moves for turn 6. Only 3 turns to go. Luckily, The Saxons called in their Pagan favors, (thanks in part to one bulletproof and credibly lucky Medium Cavalry unit) and beat the Arab force by 4 points!...basically nothing, 1 point on kill points and I killed the Caliphate General netting 3 more. It was great game. I made some big gains early, but started losing it toward turn 6 (of 8) finally coming back with a decent last round to close it, although my super cavalry finally succumbed to shooting the last turn..(losing me 4 points). This close spread of our game while forcing him out my territories barely phased him as he only lost 10 armies the whole round, and when he musters for his turn 6 moves, he'll 82 armies in the field, and still firmly in the lead, The Byzantines come in second with 69 armies ( Besting the Normans 28-10) After this victory, I have regrouped to third place with 60 armies. Normandy cant catch a break rounding out the bottom at 28. All in all things are playing out great, I play the Byzantines next week and a big loss for either of us will be brutal. The Normans are on the verge of being absorbed, if that does happen, we'll have to Aaron play the campaign out as Vassal of whomever does it. Personally having re tooled his list, I think he's overdue for the big upset. In other news I have been gearing for my Spring projects for Adepticon and even made some headway painting my Saxons..more on all that soon. Round 5 of our Quasi Historical Dark Ages Campaign is tonight. Above is the current map of the world before the festivities. As you can see the Green of the Caliphate of Cordoda, led by the Mighty Almanzor is spreading across the known world as quickly as the plague. My Saxons got lucky with a minor victory against the Normans last week but since the results against all opponents are based on Scores in the games you play my winning score of '30" was no match for Rich's "40" so I continue to lose ground to the Caliphate. I face off against the Caliphate tonight and all my Map moves are against Green, with the hope of kicking them out of Ireland and England, and not losing any more territory. A bad round with a low score against Rich in which I face aggressive moves from the Normans could legitmately knock me out maybe not this round by next...with the position Aaron and I are in we not make the 8 rounds of campaign!. and he faces of against Chris and the Byzantines tonight!. So wish the underdogs luck. Despite my only semi serious gloom and doom above. 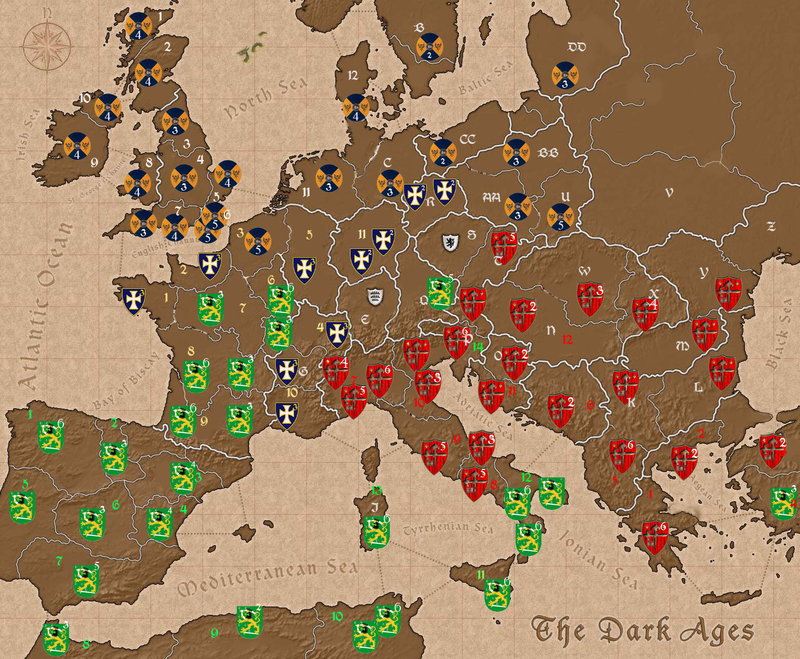 This campaign and Warlords Hail Caesar rules have been great time. We are going to be hosting Hail Caesar open gaming at Adepticon this year so if your looking for something to do Saturday Night or just want to check it out..please keep it in mind!